Can Magento can shine as a private company? Magento have been acquired by Permira Funds (formerly known as Schroder Ventures Europe). Permira are a leading private equity group who will be providing the much needed finance to fuel Magento’s growth plans. Permira are a global investment firm, investing in Companies with ambitious growth plans and have specialism and experience with technology Companies. Phil Guinand the Principal at Permira announcing the deal said "We are excited to support Mark and his outstanding team as they build on Magento's product leadership and rich ecosystem." Guinand went on to say “Given the Permira funds' experience backing some of the world's leading brands and retailers, we know first-hand how Magento provides these companies with distinct advantages over their competitors in terms of owning the customer experience, future-proofing their business by leveraging the power of an open architecture, and achieving superior ROI from their omnichannel investments. As the importance of the digital commerce experience expands over the next decade we believe Magento will continue to be the partner of choice for the world's leading brands and retailers." Magento is an open source eCommerce system, which was first published by then owners Varien in March 2008. 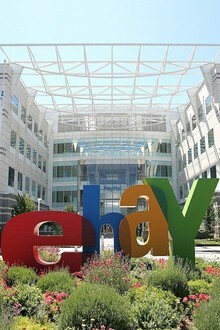 By June 2011 eBay had bought all shares of Magento and were the sole owners and have been until this latest deal with Permira. As of May 2015 Magento powered 29.8% of all eCommerce systems according to Aheadworks survey of the leading thirty eCommerce system providers. Implemented in over 240,000 sites Magento is an increasingly popular product, especially with larger eCommerce sites and is popular amongst the Internet Retailer Top 1000 (with sites like Toys “R” Us, Mothercare and Rosetta Stone. With an active community of open source developers and the support of solution and technology specialists like Opace, Magento is well-placed to deliver their ambitious growth plans moving into 2016. For more information about the new Magento and how this eCommerce platform can help your Company, please visit http://www.opace.co.uk.